Across the country, a number of people decide to buy a home not to live in, but to flip. This process is when a property is purchased, repaired and sold within a short time frame, all to make a profit. And, for many home flippers, business is strong in today's housing market. However, becoming a successful professional takes some savvy and skill, and the risks of buying real estate to sell quickly are numerous. Therefore, for those that are interested in this line of work, a lot of research and preparation should be completed beforehand. Sometimes the right deal is any number of foreclosed houses, while other times the best strategy is to pick up a starter home and make minimal changes for the best return. While learning the nuances of this profession can take time, there are several tips and tricks that can help get the process underway. Breaking into the home flipping business can be tough, but the profession has ample opportunity for profits as long as the right moves are made. However, novice flippers may get started with some misconceptions in place. "People get in the market thinking it's a great way to make money, and that's not the case," Eric Dale, CEO of the National Fix & Flip Network, told FOXBusiness. 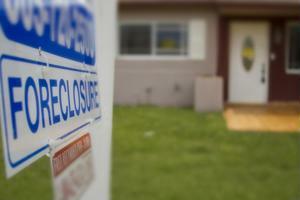 "A lot of times novices get in there ... and six months down the road that house is in foreclosure." Therefore, the most important step is finding the right property, FOXBusiness explained. This could mean scouring the Multiple Listing Service for deals, looking over foreclosure listings or taking more direct means. For example, some flippers go door-to-door or mail letters to homeowners asking them if they want to sell. Or, they could head to an auction or target a short sale. Finding the best property means understanding the housing market. CRS Data can make that a simpler task, thanks to a wide range of property data, mortgage records and much more. Now, a trip to the local courthouse is no longer needed. Once a novice flipper does find their perfect home to buy and sell, it comes time to start the renovation project. This is where a lot of budgets are ruined, so it pays to make smart, safe choices to get the most profit. According to Money Crashers, which improvement to focus on depends on budget. Flippers should try to avoid buying homes that need a lot of work, like a new roof or rewiring, but if the budget is there it is possible to turn a profit. For beginners, however, it may be best to start small. Repairs like paint instead of wallpaper, new carpet and updated kitchens and baths can jack up the value of that house. Most importantly, it is crucial that the home in question has a high ceiling, the news source noted. Flippers should make improvements to a house that is already below market value, so it can only increase in price. That will raise the potential for profit, making it a smart investment decision. How to become a successful home flipperThere are several options when it comes to investing in real estate, including buying properties and...Tips for First-Time Home FlippersIf you’re on the search for a new side job with a sense of autonomy and a hands-on approach, f...Younger individuals expected to become homebuyers in near futureReal estate agents may be seeing an increase in younger buyers, surveys have showed.